For most people, Montana is a mysterious state often known for its lack of population. But there is a lot more to the state than scenic national parks, ranches, and moose. People here are extremely helpful and make sure they help someone in need. If you too want to make a difference to someone’s life, a career as a hearing aid specialist (HAS) will help you. To work as a qualified HAS, earn a handsome income and work according to your schedule, you need to pass the written and practical hearing aid specialist licensing exam here in Montana. The Hearing Aid Academy gives you a chance to prepare for the international licensing exam in less than 12 weeks and start working as a qualified HAS. Do you know a vast majority of people around the world suffer from hearing loss? While some people are aware that they are experiencing hearing loss, only a handful of them actually seek medical help. People often choose to ignore acknowledging the problem or are embarrassed to accept it. Also sometimes they believe that they can get by without wearing a hearing aid. This is the reason they choose to wait many years before seeking medical help to treat the hearing loss. It must be remembered that hearing loss is not just an ailment of old age as many youngsters are experiencing hearing loss as well. As a qualified hearing aid specialist, you can educate people about the importance of hearing health and make it easy for them to get their hands on a hearing aid that suits their requirements and budget. By passing the hearing aid specialist licensing exam here in Montana, you can start working as a hearing aid specialist within 12 weeks. Will the industry stay in demand? Is the job market stable? Are their plenty of jobs available? Will I be paid a good amount of money? What will be the work timings? Will I get time to spend with my family? Will it offer me job satisfaction? The hearing health industry is growing and provides plenty of job opportunities along with a chance to earn a handsome amount of salary and incentives. Dennis L. Gunn, the Hearing aid academy Director, shares that many students who have successfully completed their online course and cleared the hearing aid specialist licensing exam here in Montana, are receiving a starting salary of $60,000 to $70,000 per year. Hearing health industry is backed by long-term stability and positive income flow. Therefore, it is one of the fastest growing industries. The job market is not going to slow down anytime soon. Therefore, if you want to change your career and get licensed as a hearing aid specialist, this is the right time to grab the opportunity. Working as a hearing instrument specialist helps you make a real difference to someone’s life. The hearing health industry is full of growth opportunities. You can choose to work for a retailer, or open a hearing aid center and work for your own self. There are many hearing aid retail center owners who are able to earn a yearly income exceeding $750,000. 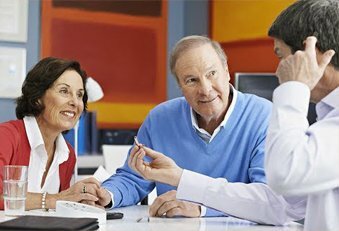 Moreover, the hearing aid industry does not come with an upper limit on earning potential as you can earn incentives by selling hearing aids. To get licensed as a hearing aid specialist in Montana, you need to pass the written and practical hearing aid specialist licensing exam administered by the International Hearing Society. The licensing exam is conducted through every American state and by local governing bodies throughout the world. While you can choose the traditional method of preparing for the licensing exam by attending an accredited college for two years, you can also choose to prepare for the exam in 3 to 6 months by registering with the Hearing Aid Academy online curriculum. The Hearing Aid Academy gives you the advantage to work your daytime job while studying at your pace. So, instead of taking up a couple of years; prepare for the licensing exam in less than 12 weeks. At Hearing Aid Academy, we are proud of a great track record of success. Since the beginning of the academy, our students have successfully completed the online program and passed the written and practical hearing aid specialist licensing exam here in Montana. We have qualified and knowledgeable hearing aid specialists on board with more than three decades of experience. The HAS work with students and help them clear their doubts. At HAA, you are never alone. As a hearing aid specialist, you can enjoy flexible working hours with weekends and holidays off. Hearing Aid Academy gives you access to the following benefits. Learn and develop a skill that gives you the freedom to work for yourself and earn as much as you want. Do you know there are currently 5 jobs for every hearing aid specialist licensed professional? So, how about grabbing the opportunity to work without a boss and a flexible working schedule? Pass the Hearing Aid Specialist Licensing Exam in Montana in about 12 weeks.